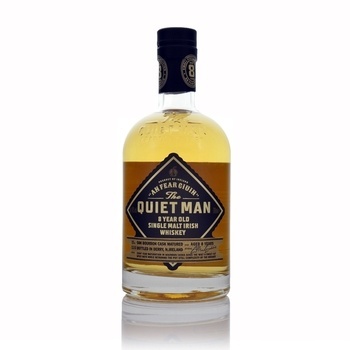 The Quiet Man is made by Ciaran Mulgrew who named his whiskey after his father, John Mulgrew. John worked as a bartender around Belfast for 50 years and like all good bartenders he was true to his code and never told tales. hence the name- The Quiet Man. Aged in Bourbon barrels, the 8 year old is deep in colour with floral notes and hints of nutty almond and white chocolate. 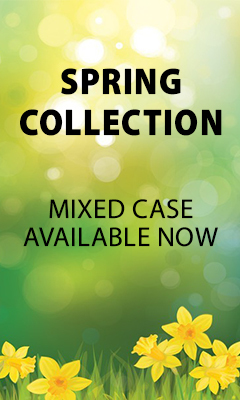 On the palate it has a lovely spice, flavours of roasted nuts and a hint of cocoa chocolate. The addition of mineral water opens up the whiskey to even more floral and fruity aromas. Though i must say, i prefer it without the addition of water.. This really is a lovely whiskey and for a first attempt they really have outdone themselves. Beautifully smooth whiskey with lots of flavour and depth but not too peaty. Too easy to drink! Was introduced to this fine whiskey at the 2016 whiskey festival in York. When my purchase from the festival ran out ordered more on line. Excellent service and very drinkable whiskey. Happy all round. Ordered a couple of bottles of this from KWM after being introduced to it following a rugby trip to Dublin! Arrived very quickly, brilliantly wrapped, which allowed me to post one on quickly and safely to a friend in England, and opened the second to celebrate New Year - lovely Whiskey, great service - not a lot else I can say!